Thursday morning and it's looking like a bad week for Psystar is about to get worse as it fumbles to respond to some seriously onerous demands in Apple's lawsuit against it. 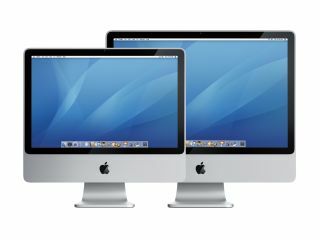 The gutsy retailer of unofficial Mac OS X computers is not only facing copyright infringement claims, but also a request from Apple that it recall every single Mac clone it has ever sold. As Psystar is about as far from a multinational as it's possible to be, any such recall on top of other likely penalties would surely amount to killing the company twice over. Talking of legal action, the long-running case against former Samsung chairman Lee Kun Hee has ended with the corporate fat-cat copping a £55 million fine for tax evasion. Lee also received a three-year suspended sentence, and so will spend no time locked up unless he reoffends. Seoul Central District Court ruled after agreeing with prosecutors that he had hidden over £2 billion in taxable assets. The 66-year-old Samsung patriarch also received a suspended sentence in 1996 – this time for bribing two former Korean presidents. Still on the theme of wrongdoing, the makers of the Jawbone Bluetooth phone headsets are offering US drivers a $20 (£10) discount on their products if they can prove they broke the law. Anyone nabbed for talking on a mobile phone while driving can simply input their ticket number on Aliph's website to get themselves a crims-only bargain. Is that a Dreamcast in your pocket? Finally for this morning, a little retro-console yearning comes courtesy of Sega US president Simon Jeffery, who told Kotaku that he believes the new iPhone is as powerful a gaming platform as the Dreamcast was. Whether or not that means we'll see an iPhone port of Shenmue - one of the all-time greatest console games – is anybody's guess, but we'd love to while away a few commutes putting Ryo through his karate chops like it was 1999 all over again. That's it for now, but stay tuned to TechRadar for the rest of the day's news as it breaks.